Like I mentioned last week, I got together with my friend Aylin to show you three different buns that you can whip up in minutes and that are perfect for the Holidays! Easy peasy, no-fuss, I assure you, anyone can master this! 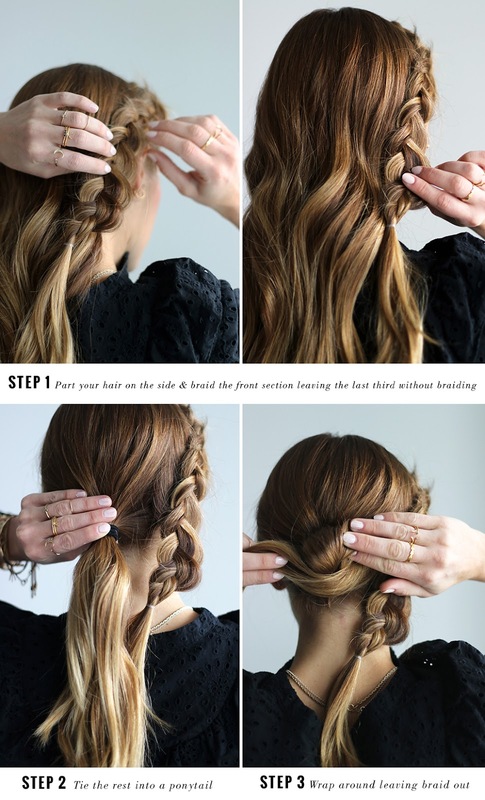 Scroll down for the step-by-step instructions of this side braid bun, so good to up your look in minutes! STEP 1: Part your hair on one side and braid the front section to one side. 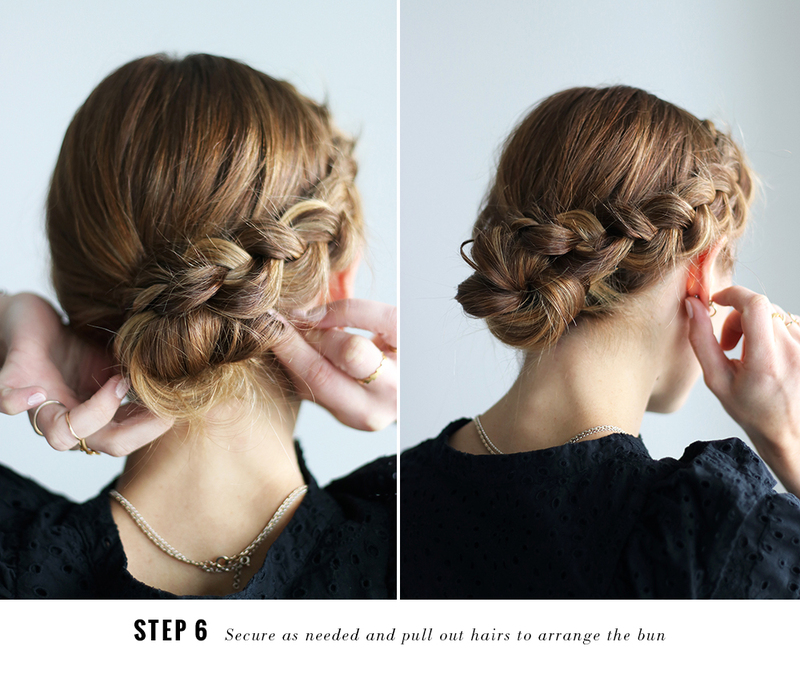 Make sure to leave out about a third of the whole strand because you will be wrapping it around the bun later on. Pull out the braid for a fuller (and boho-looking) look. 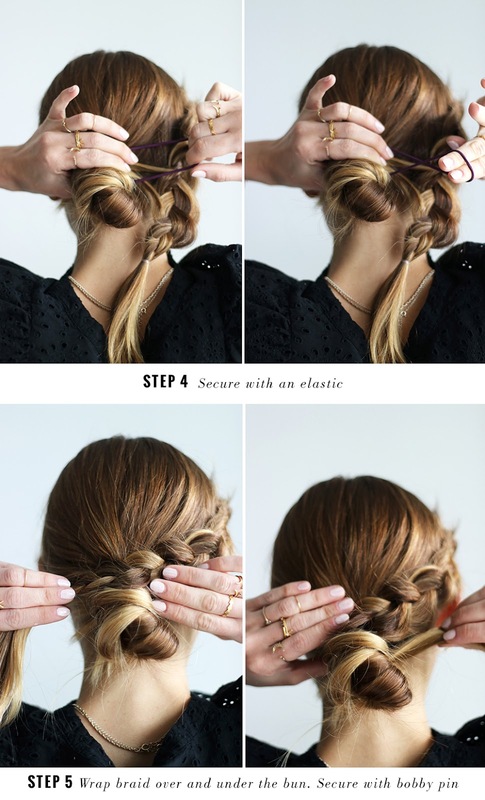 STEP 2: Tie the rest of your hair into a ponytail. STEP 3: Grab your ponytail and wrap it around itself (clockwise). STEP 4: Secure with an elastic. STEP 5: Take your braid and wrap over and under the bun. Secure with bobby pins as needed. STEP 6: Pull out any hairs and arrange your bun.